As an ‘Integrative Research Center’ at a Technical University in one of Germany´s highly industrialized regions, the Munich Center for Technology in Society (MCTS) is both privileged and cursed to do STS research in the proverbial belly of the beast. Recently re-branded as an ‘entrepreneurial university,’ TUM is a hub for EU H2020 proposals, EIT KICs, and industry-led consortiums set to solve societal grand challenges. The MCTS has, from the beginning, been invited and expected to participate in these techno-scientific initiatives, to do social research, and to speak in the name of individuals, communities, publics, societies. Willingly or not, during its short existence the MCTS has already become a laboratory for more or less experimental approaches to integrating STS research into natural science and engineering projects. At the MCTS, we nurture these collaborations in a variety of different roles – as epistemic and political allies, as inter- and transdisciplinary counterparts, as idiotic collaborators, and as an institutional hub of social science expertise. We understand these collaborations as one generative way to engage with – and intervene in – the technoscientific setup of our current and future common worlds. Knowing about the dangers of “ELSI-fication and its analytical pitfalls” (Williams, 2005: 342) – mostly related to a certain idea of the STS scholar as the informed and critical outsider “challenging the exclusive role of technical specialists” (Williams, 2005: 342) – we are therefore experimenting with different scopes and scales of engagement to craft situated interventions. A common thread that links these different engagements is our commitment to both disruptive criticisms and experimental co-creation. The fields we are working in are as diverse as the ways we engage with them. In this short article, we tell three stories of collaborations with our techno-scientific partners and reflect upon the different scopes and scales of collaboration that are at stake. In this first story, we meet a group of biologists, social scientists, and humanities scholars who try to think and work together to get a grasp on a shared research topic: environmental epigenetics. This topic seems to both escape and engage all of their traditional disciplinary frameworks, while at the same time raising significant epistemological, social and political questions. Epigenetics is the study of changes in gene expression that are not caused by mutations in the genetic code itself. Rather, epigenetics explores how chemical modifications on the DNA effect changes by regulating which genes can be accessed and transcribed and to what degree. An important branch of epigenetics is environmental epigenetics, which investigates how stimuli from the environment can induce epigenetic alterations. The notion of environmental stimuli includes toxins, food, but also social experiences and lifestyle practices, all of which are thought to possibly affect gene expression and hence health and illness. An epigenetic perspective therefore renders the environment and the way we live in it as crucial for what becomes of our genes and, by extension, for our chances for health or risk of disease (Landecker & Panofsky, 2013; Pickersgill et al., 2013). This has significant implications for biology and beyond. First, while the genome of genetics was mostly conceived as a stable, central blueprint for the organism – the so-called “book of life” (Kay, 2000) – the genome of epigenetics has become a “dynamic and reactive system” (Fox Keller, 2015: 10). Second, such a conceptualization of the genome as responsive rather than fixed renders social positions and their situated environmental exposures as an important factor for understanding the biosocial becomings of health and illness (Kenney & Müller, 2017; Mansfield, 2012; Meloni, 2015). Recent studies even suggest that epigenetic effects might not be limited to the exposed generation, but could be passed on by inter- and transgenerational epigenetic inheritance. Here the ambivalent potential of environmental epigenetics becomes apparent: On the one hand, environmental epigenetics could present a tool for social and environmental justice work, pointing out the molecular scars of inequality, possibly across generations. On the other hand, there is also the potential for deterministic logics to emerge that view the biology of individuals and groups as determined by the environments they or their parents live(d) in. This mutual disconcertment (Kenney, 2015; Verran, 2001) about the ambivalent politics of epigenetic epistemology has been the starting point for international biosocial collaborations set in motion here at the MCTS over the last two years. Collaborative intervention is the goal, and sharing social and epistemic resources is key to the process. What marks these collaborations is a sense of urgency that is not mandated but experienced. We organize workshops, conferences sessions, and public events together, write commentary pieces in life science and public health journals (e.g., Hanson & Müller, 2017), text book chapters, and project applications, all of which pose the following questions: How can we handle this responsibly? How can environmental epigenetics become a tool for social and environmental justice rather than further distinction, division, and discrimination? This type of collaboration depends massively on the generosity of individual scholars, particularly senior life science scholars, who give credibility to the social science interventions, and who, through continued collaboration, turn them gradually into biosocial interventions. In our case, it is further supported by a recently formed network of epigenetics researchers from different institutions here in Munich, which actively seeks out interdisciplinary dialog; and by the great interest shown by students here at TUM, who become involved in the project on different levels. A collaboration like this one is a long-term process, held together by shared intellectual fascinations and political stakes. It is a messy process of partial translations, ambiguity and compromise. But above all, it is an exciting process of transgressing disciplinary boundaries and re-imagining how we could understand life, health, and illness differently, together. 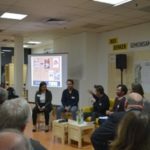 Our second story is about our participation in the Horizon 2020-funded Lighthouse Project ‘Smarter Together. Smart and Inclusive Solutions for a Better Life in Urban Districts’ – a project aimed at the large-scale and integrated implementation of ‘co-created’ smart infrastructures in districts of Munich, Vienna, and Lyon. Co-creation here is both a central goal and narrative, and this ambiguity is our entry point to the story. Our role in this large-scale collaborative project is that of both ‘participation experts’ and STS scholars concerned with ‘technical democracy’ (Callon et al., 2009), ‘material participation’ (Marres, 2011) and ‘experimental collaborations’ (Estalella & Sanchez Criado, 2015) – three STS concepts that play ‘too well’ into expert understandings of co-creation. More specifically, we have been in charge of writing recommendations for these three cities on key principles of participatory co-design processes – which we did in an extremely well-received policy document that politely invited city officials to be humbler, and which is now probably resting in the drawers of these city administrations. 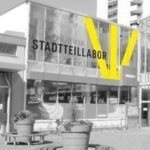 And, more importantly, we have been organizing co-design processes in Munich’s Stadtteillabor (Farías, 2017), focusing on key ‘smart’ interventions foreseen in the project: multi-modal mobility stations, sharing and delivery of ‘smart’ district boxes, and intelligent street lamps. 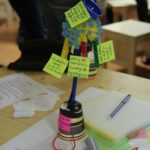 Over the last year, we have run four co-design processes, each involving three to six workshops and resulting in prototypes and recommendations. In different ways, these have challenged the goal and scope of the planned interventions, as the inchoate publics we helped to constitute have turned out to be more concerned about the urban conditions affecting the planned interventions than they were about the interventions themselves. This has raised the question of how to sensitize our technical partners to public concerns and propositions that fall outside of the scope of the project and of what they expect from the co-design process, namely, gathering reliable information about user behaviour, as well as cool and crazy ideas for new services. Resisting the trap of the pre-defined role as ‘participation experts’ who are brought onboard to engage and handle the public, we have time and again surprised ourselves by coming up with ways to conversely engage the experts – how to ‘trap’ them into situations where they have no other option than to take these issues into account. To this end, we have come up with ‘idiotic’ games to be played in our workshops that are aimed at deactivating expertise, invited ‘critical’ experts to challenge gamification strategies and data security arrangements, and set other friendly traps for our partners and colleagues. The figure of the trap (Gell, 1996; Corsín Jimenez, forthcoming) is extremely helpful for thinking about this form of collaboration. Reflecting on animal traps, Gell implies that these are second-order observation devices containing a model of how the trapper observes how the animal observes its Umwelt. Setting traps, we have discovered, requires us to think like experts, to blend ourselves into their environments, so that we can lure them into spaces where they will seriously engage with idiotic requests and rationales. Traps are not a form of sabotage. Quite the contrary: We use them to honour the very concept of ‘Smarter Together’ as it invites us to think ‘with and against’ each other. Our last story takes us into one of the construction sites of our algorithmic future. STS is especially well equipped to fuel (idiotic) interventions in values in design (Knobel & Bowker, 2011): our work inside the belly of the beast allows us to infra-reflexively produce and amplify issues as well as shape and laterally reframe controversies in ‘ontological experiments’ (Jensen & Morita, 2015). In a project that we work on in collaboration with the Bavarian public broadcasting agency, we took on the role of an active stakeholder in the agile software development process of a big data-driven recommender system and used this role to develop institutional and coded interventions to escape potential filter bubbles and data biases. Public broadcasting plays a distinctive role in the European ecology of media production and distribution. A multi-level policy and governance system tries to balance the mandate of public broadcasting to support a diverse range of opinions and free access to basic information needs with the economic interests of commercial press and broadcasting. In such an environment, building software for non-linear distribution of content like apps or media platforms is legally and politically tricky. Not only do commercial actors carefully watch the potential emergence of publicly financed competition, but data driven services are officially not allowed to discriminate against types of users or create echo chambers and filter bubbles that limit the diversity of content. By turning issues that are intensely discussed in STS under the notions of critical data studies (boyd/Crawford, 2012), algorithmic culture (Striphas, 2015) and data and knowledge infrastructure (Edwards et al., 2009) into tools for intervening in the software development process, we try to creatively and productively alter its potential outputs. As ethnographers, we also study the implementation of metrics and we follow and map the organizational flows of data and meta-data to both understand the politics of personalization and produce more or less effective means of counter-politics. Over the last year, we have especially studied the design and implementation of a recommender system, a set of algorithms that, based on previous activities, selects and plays additional content: “If you liked this, you might also like that.” There are basically two ways of running those systems: Collaborative filters select items based on what other users selected under similar conditions, whereas content-based filters select items based on similar or fitting meta-data. Both would, if simply implemented, undermine the mandate of public broadcasting: they would produce content recommendations that follow a logic of ‘more of the same,’ not of ‘more diversity,’ recommending parliamentary debates only to those who already watch them and music and entertainment to the masses. We used our embeddedness in the software design process to develop and experiment with different forms of intervention and problematization. Instead of just studying these emerging data ecologies and mourning the rise of the machines, we seek to open these black boxes of algorithmic culture. What is more, we actively paint them in bright colors: The politics of platforms can at least be contested, data bias and discrimination can be highlighted and addressed, algorithms can at least partially be made accountable – maybe not in general and from the outside, but in particular and from within. Suggestions for carving out ‘third spaces’ (Fisher, 2003) or para-sites (Marcus, 2000) mostly follow what Jörg Niewöhner has so lucidly called “co-laboration”: They are based on “non-teleological joint epistemic work without the commitment to a shared outcome” (Niewöhner, 2015: 236), based on combined but separate epistemic activities held together by sharing a common (problem) space. This is an essential part of our work, but we also try to collaborate without caveats and hyphens – to find common (political) grounds that enable us to work and think together and to follow the same objectives even if we might draw different consequences. The research space we share with engineers and scientists certainly allows for co-laboration in all the ecological relationships that can be characterized as work that is temporarily joint but epistemically separate. But it also allows us to maintain object- and issue-oriented collaborations based on doing things together and a commitment to a shared outcome. The three stories we told in this short paper are only examples. Others could have been told. In all of them, we nurture these collaborations as ways of engaging with and intervening in the technoscientific setup of our common worlds. Is STS all Talk and no Walk?